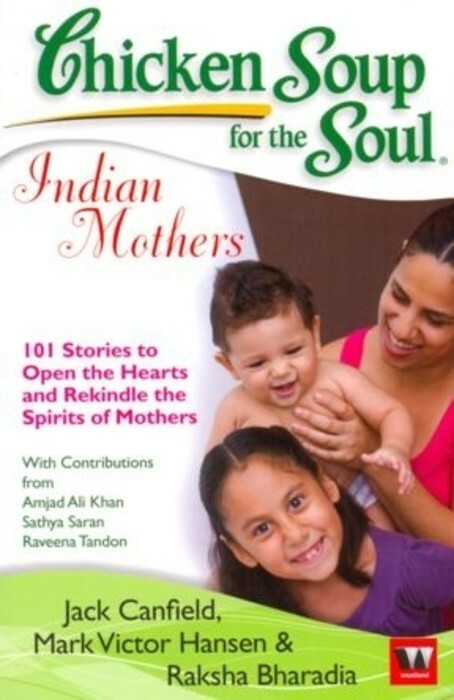 Chicken Soup for the soul, Indian Mother’s is a collection of heartwarming tales based on this beautiful gift of God to mankind – Mothers. Mothers are born chefs, dancers, teachers, painters, doctors, electricians, essayist, scientists, jokers, and dramatist since the time they are our mothers. They have the magical ability to transform our biggest troubles into small nonexistent things. The moment you open the book you are pushed into a world full of love, care, mouth-watering delicacies, pampering and some of the most wonderful hugs in this world. Jack Canfield Jack Canfield , #1 New York Times bestselling author, is a professional speaker who has dedicated his life to enhancing the personal and professional development of others. He is also the co-author of several New York Times bestsellers, including Chicken Soup series. Mark Victor Hansen Mark Victor Hansen is a professional speaker and with co-author Jack Canfield has authored several New York Times bestsellers as also the Chicken Soup series. Raksha Bharadia Raksha Bharadia is the author of the bestselling Me: A Handbook for Life. Raksha has composed features for Times of India, Femina and Gurlz. She has also taught in a school for the visually challenged, Andya Kanya Grah, in Ahmedabad where she lives. It is said that a woman has 3 births, one when she is actually born, one when she gets married and one when she gives birth. These three are most life changing incidents in any woman’s life, especially the last stage- that of becoming a mother. Mother, the word itself creates an image of a kind, loving figure whose love transcends that of God. God could not be everywhere so he created Mother and blessed are those souls who get to experience this form of selfless love in their lives. We all have had our own phases where we considered being our best friend and for some luckier ones she still continues to be one. I wonder how come they have a solution for every problem. Google definitely had a competition long before it was even invented. The stories shared here start from where the journey of every mother starts – conceiving a child moving on to losing one, giving birth, bringing them up, learning new things with them, hurting them, being hurt by them, becoming their friends, confidants and then grandmothers! Oh it’s such a beautiful experience to be there. Every woman has a mother hidden inside her as she is blessed with it since birth. So even if she is not able to have a child of her own, that spring of love does not dry up. Rather it spreads to all other places spreading greenery and bringing joy wherever necessary. The book also has some very famous celebrities like Raveena Tandon sharing her motherhood experiences making it one classy read. The simple language adds beauty to the soul stirring stories as they manage to bring out the emotions in the right manner touching your heart. Every word you read and every page you turn takes you through the journey of hearts full of love unmatched for in this world. Definitely a must read for every woman as it is a matter of pride to witness something so magical at such close quarters. 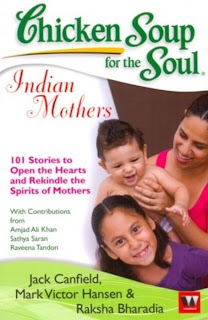 P.S: I had one this book from Blog Adda on last mother's day as a prize for some contest and hence this book is very special for me. Hence as a mark for that day I have reviewed it today exactly a year later but on the same occassion.